High Lasers’ 635nm & 650nm handheld red lasers projects the most powerful red beam for high power red light source required occasions. ● 635nm portable red lasers projects the purest gorgeous red light in work. 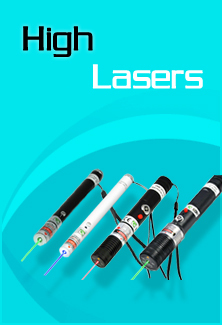 ● 650nm red lasers projects the most powerful red laser beam. ● 635nm&650nm red lasers adopts the most advanced inner thermal stabilization system, assures high performance in operation. 2006 - 2019 HighLasers.com. All Rights Reserved.